I really don’t know about you but I personally love shearling jackets. These are made from processed lambskin, sheepskin, or pelt. The lingo shearling means lamb’s wool, and yes, indeed as you imagine this means that cold will never be a problem for you in winter times. I just said above that I like very much shearling jackets, but let me tell you why. Well, first thing which come into my mind is cosiness. Another important thing is the fact that this kind of jackets is on trend, actually seems that never go out of trends. One other thing which I want to emphasize is its versatility. Indeed it can be very easy to match and you can wear it in various places and occasions. You will be able to use it when you to shopping sessions, to market, to walk in the park but also when you have to go to your office. Indeed, but besides coziness and versatility, the shearling jacket is amazingly warm. So yes, you will be ready for heavy winter without any kind of emotions. But let me emphasize something really interesting which you might not expect. Maybe because it is made of sheepskin, it is thinner than any other coat made of fur. This gives it an incredible edge when you compare it with other types of winter jacket. –	Brand quality – indeed, this gives you the quality of your coat. Think about shearling jacket as an investment, therefore it must be a quality one so you will be able to wear it for several years. –	Usability – this is given by how much and how versatile this jacket can be. If it has large pockets, if it has zippers or maybe detachable collars. –	Color – this aspect depends on the rest of your wardrobe of course. According to your wardrobe, you can think about the color you would want to choose for your jacket. Be creative when you wear a shearling jacket, try combo’s with ankle boots, jeans and sweater if you look for something comfy. Or be very chic with a pair of leggings and high heels for a chic look. This kind of jackets amazes me because it is perfect for a strict fashionista, being extremely chic, but also it is very comfy and easy to match. Indeed, from my experience it is hard to find such a combination. Moreover if you live in a place with cold winters you may be very sure that shearling jackets will be with and could not only help you protecting from the weather but also to complete your wardrobe. 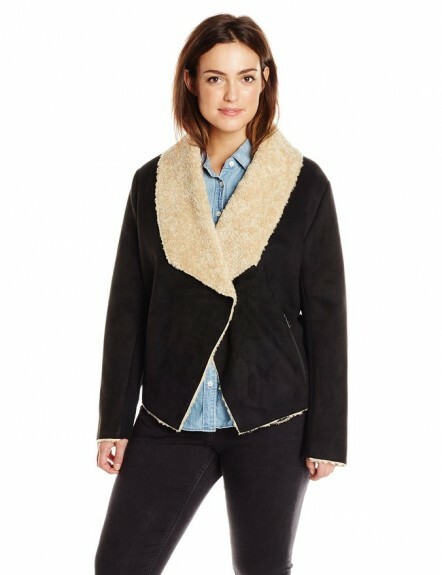 If you consider yourself a fashion addict girl a shearling jackets is a must in your closet. This outerwear staple is for sure an investment, because as I said earlier it never goes out of style and if you buy one you will benefit from its qualities many years.